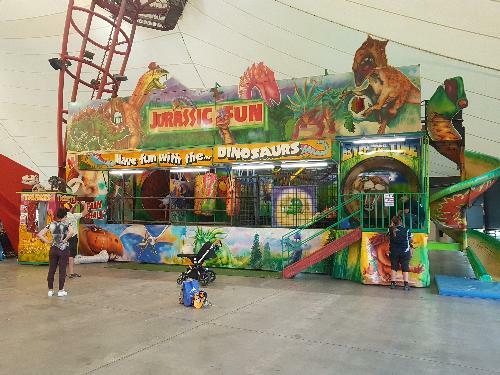 Make your way through 2 floors of fun obstacles in this dinosaur themed Fun Factory! Includes a slide, hamster wheel and much more. 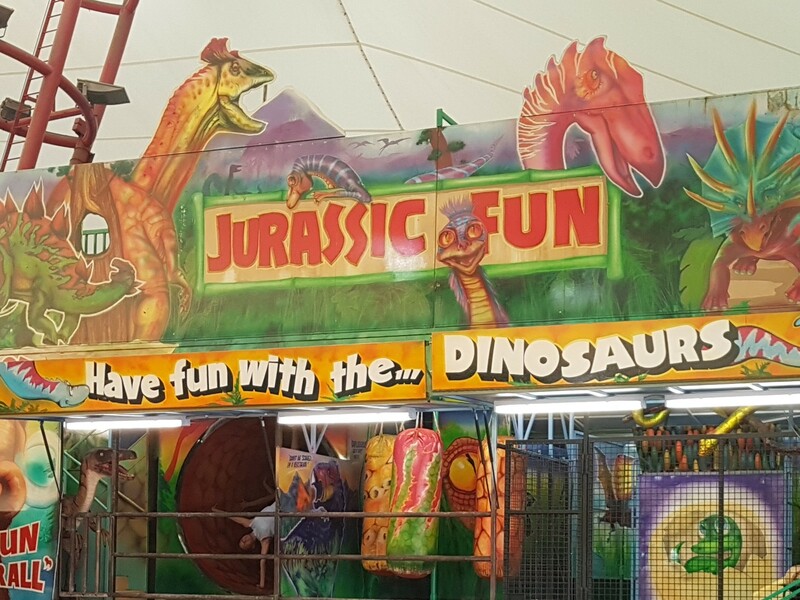 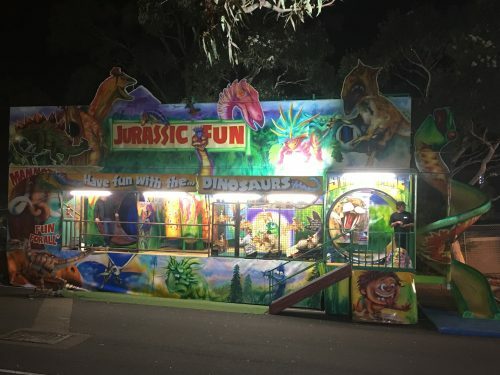 The Jurassic Fun Factory is 2 floors of fun filled, Dinosaur themed obstacles. 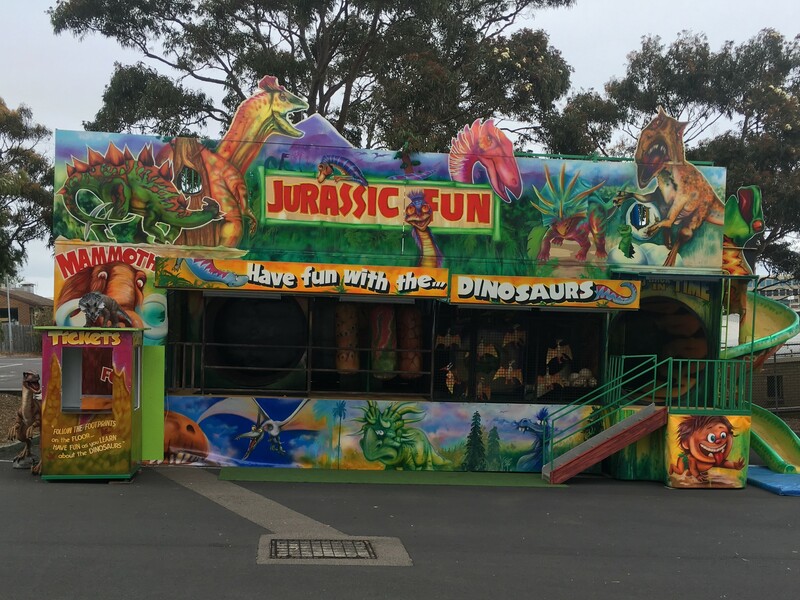 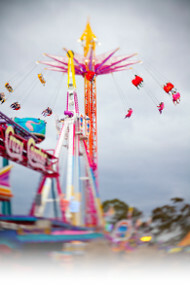 Kids of all ages will enjoy the ball pit, hamster wheels, slide and much much more.